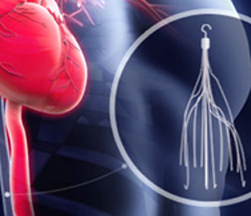 We generate IVC filter leads from claimants who have been implanted with an IVC Filter after 2006, experienced complications after the filter implantation, and currently have not hired an attorney. Both online platforms and television media have generated quality leads. It is possible that television could originate more claimants in a lesser time frame. Meanwhile, online allows for an ongoing, sustainable, long-term method of increasing your firm’s intake, especially favorable to boutique firms. Firms with intake centers may have the capacity for both sources. It is important to note that if a lead does not meet these qualifications, you may exchange it for a replacement lead within 5 days (five consecutive 24-hour periods). Our exclusive online IVC filter mass tort leads are unique to your firm and are delivered to your inbox milliseconds following the user’s submission. Thus, these are real-time. Regarding television commercials, they are production-ready and based upon a qualified pay-per-call program. Here, claimants call your office from one of our proven commercials, and are required to pass the same filters in order to be considered a qualified lead. 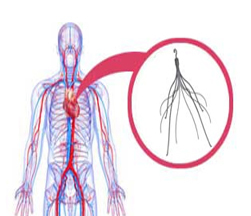 IVC Filters are small cone-shaped medical devices that are implanted in the inferior vena cava, which is the main blood vessel that pushes blood cells from the lower extremities, such as the foot, ankles, knees, and hips, to the heart and lungs. Typically, a vascular surgeon or interventional radiologist implants the filter in order to prevent blood clots from moving up the vena cava to the lungs. 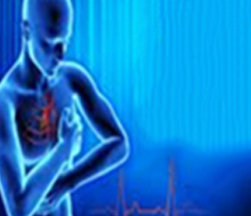 This sometimes deadly situation is called a pulmonary embolism (PE). Generally, IVC filters are developed from non-magnetic materials that are also non-ferromagnetic. This allows patients to undergo an MRI examination without issue, which helps verify the location and efficacy of the device within the human body. Another distinguishing feature includes the legs, or struts, which attach to the inner walls of the vena cava. 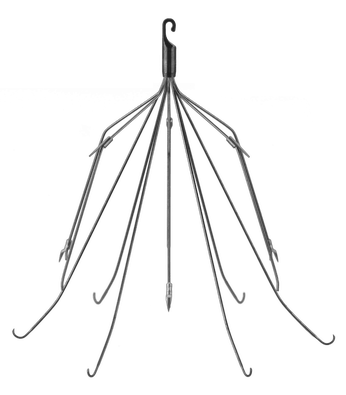 When an IVC filter “tilts,” what is occurring is the angle of the device has slanted away from its intended vertical position. In other words, the tip of the filter is not centered within the vena cava. Problems associated with tilting include ineffective blood clot capturing, of the filter, increased risk of penetration of the filter within the vena cava wall, and embedding of the filter into the vena cava. One of the main issues with tilting is that the device could be problematic and hazardous to remove. What happens is the tissue from the wall of the vein grows around the apex where the hook is located. Since the hook is designed to be snared during explantation, a merging of the apex and the tissue wall could prevent the standard removal procedure from succeeding. Significantly, the struts are prone to contact with the vena cava wall – called endothelization – and witness tissue growth in the same manner and cause similar complications. One study discovered that only a 15-degree tilt could be the threshold for filter problems. Other studies have shown that each one degree of tilt could increase the risk of tissue growth over the device by 28%. Although Bard’s G2 Eclipse has a centering strut, even these filters have been found to slant from its intended position. Complications due to IVC filter penetration or perforation is when a part of the device breaks through tissue or an organ. As might be guessed, the device could penetrate the vena cava wall at its intended location. Even a small penetration could cause serious problems and worsen over time, as the filter can puncture the wall and subsequently an organ. Other parts of the body that can be penetrated, either from penetrating the vena cava at the intended location or after migration, include the aorta, duodenum, vertebrae, and other organs. When a filter’s component parts break (fracture), they could move to another location of the body, or cause embolization. According to the MAUDE database, the Bard G2 Vena Cava Filter and the Bard Recovery Vena Cava Filter generated the most reports of fracturing. Pennsylvania’s York Hospital Dr. William Nicholson’s filter and fracture study that covered 80 patients focused on these two Bard devices, and found that these complications happened in 25% (7 out of 28) of those implanted with Bard Recovery Filters and 12% (6 out of 52) of people with the Bard G2 Filter. When a fluoroscopy was administered, 16% showed at least one strut had fractured after the filter had resided in the body for an average 37.8 months. The conclusion was that a fractured Bard G2 Filter could reside in over 7,000 patients implanted with the device. This event is serious enough to cause death. Removing the device through the skin, which is called percutaneous explantation, is one means of retrieving the device in a non-traditional manner. This is not an option, however, if the device has moved to the heart valves, ventricle, or outflow tract. Surgery is the only option there, yet surgical procedures has risks including arrhythmia and death. The FDA released an alert in August of 2010 announcing many very harmful dangers associated with IVC filters. The alert stated that, upon analyzing 900 reported adverse events, 28 were caused by migration and was the primary complication linked to these medical devices. When a filter fractures, one of its parts has broken. When a filter experiences an embolization, one of the broken parts has moved through the bloodstream to another part of the body. Significantly, a fracturing and embolization of an IVC filter is among the more dangerous problems associated with these devices. According to the MAUDE database the time this was written, the two filters that witnessed the highest number of complaints was the Bard Recovery and Bard G2. Dr. Williamson from York Hospital in Pennsylvania conducted a study on 80 patients addressing fracturing and embolization of the Recovery and G2. The results were disturbing. 25% (7 out of 28) patients implanted with the G2 experienced these problems. Following a fluoroscopy, 16% discovered at least one strut from the filter had fractured following 37.8 months of its implantation. Dr. Williamson concluded that more than 7,000 U.S. patients could have a fractured Bard G2, which has been shown that filter fragments that travel to an organ could be fatal. Fragments could also relocate to the hepatic vein or lung. Another dangerous aspect of these devices is they can get stuck within the body when tissue grows around the apex or the struts. When the tissue from the vena cava grows around these parts, the device could become irretrievable. Cook Medical, the maker of the Gunther Tulip and Celect filters has been reported to have much smaller time frames for retrievability. Contrary to the literature and instructions for use of both Cook and Bard filters that state an unlimited time exists for safe retrieval, it has been reported that Cook filters have a disfavorable track record of standard explantation of the devices. Filters were designed to prevent blood clots. However, there have been indications suggest they could actually lead to clotting, or recurrent pulmonary embolus. In 2005, a study of approximately 36,000 patients showed that these devices increased the risk of pulmonary embolus by over 50%, and increased the possibility of VTE and DVT by four times. Another study compared bariatric patients who were implanted with IVC filters versus those not implanted with the filter. Results showed the risk of pulmonary embolus doubled compared to patients who had not been implanted with the filter. An unretrieved filter could be the primary reason for thrombus in the vena cava, according to another study.